Phew! What a Long Day! First stop: my son’s piano class. Second stop: my son’s art class. Third stop: to check out progress on the house we’re building outside of Quito, near the new airport. Fifth and sixth stops: to pick up a head lamp and rubber boots for my son’s overnight school trip this week. We left at 9:20 am and returned at 6:00 pm. Now, that’s a long day! My husband and I are going out on a date in a little while; it has been a busy week. 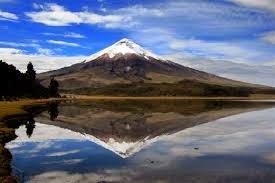 and a hike to Cotopaxi National Park. Cross posted to March Slice of Life Challenge, Day #22nd.